When your company introduces a new product or brand to the market, you naturally want to share the news with everyone: your employees, partners and customers. Use a tent structure and create a stunning venue. You can only launch a product. That’s why everything has to be perfect – down to the last detail. You might want to temporarily expand your building, hire a stand-alone tent or link various structures together. Thanks to Liri’s wide product range, we have a suitable solution that will give you the exclusive look you’re after. 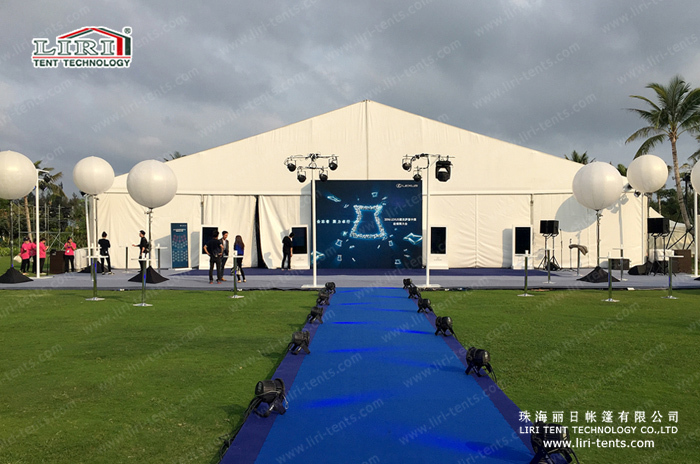 Quality and safety are important aspects of your event planning, which is why we use wind and fire-resistant materials and make sure that the anchoring is secure and only use materials that meet the strictest safety requirements.